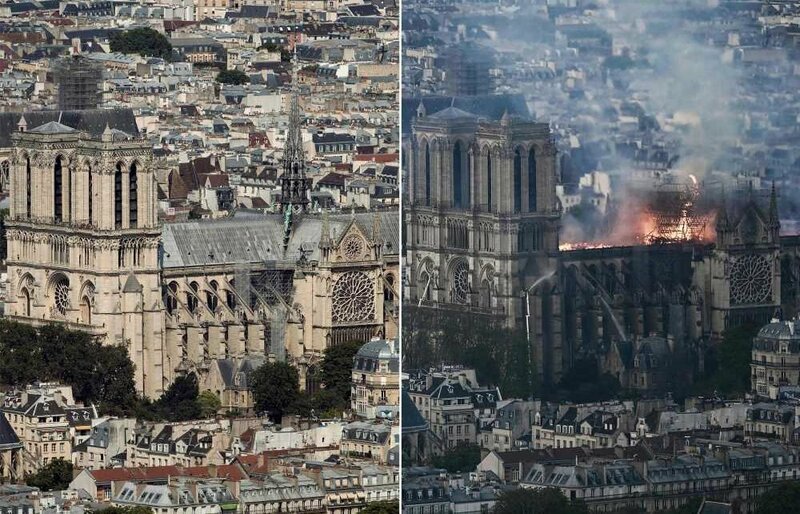 Heartbreaking before and after photos show the extent of Notre Dame’s devastation. An image taken on July 15, 2018, shows the 850-year-old Paris cathedral in all of its former glory. But on Monday, when a massive blaze broke out on scaffolding near the top of the building, the landmark’s entire top floor appears decimated. The historic main spire is also gone. The entire wooden interior of the building will likely be destroyed, said a spokesman for the cathedral. First responders were working to save the priceless artwork inside, officials said.